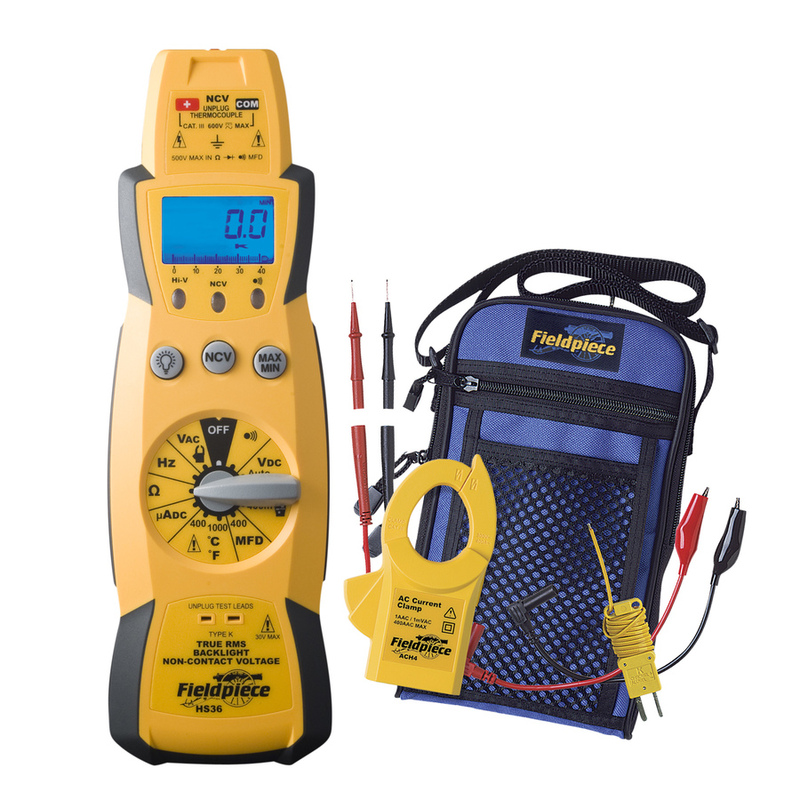 The HS33 Multimeter is a great entry level modular multimeter. 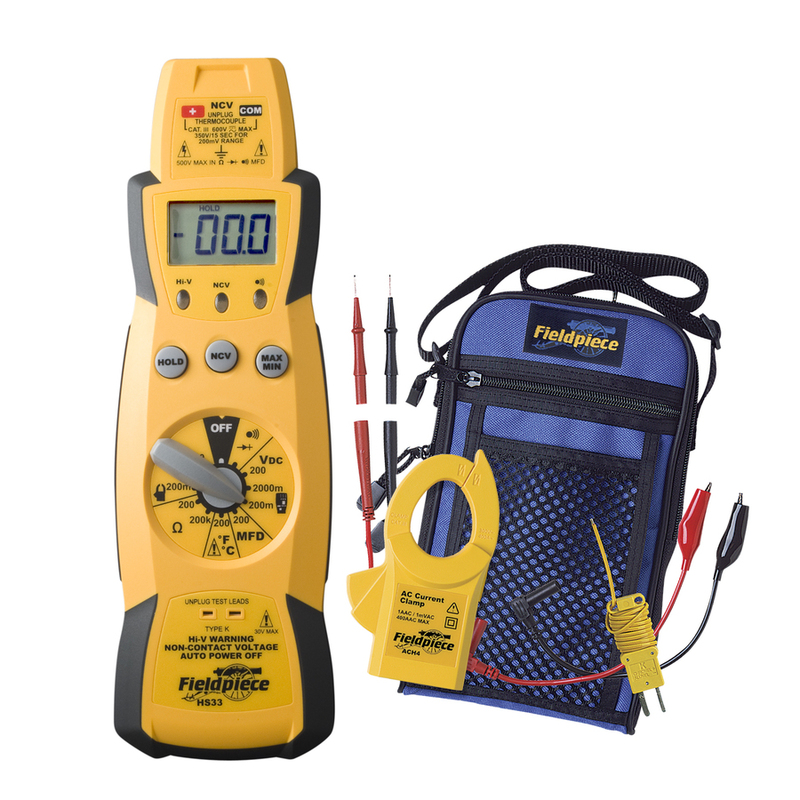 Like every Fieldpiece meter, it's packed with the features and functions HVACR technicians need to get the job done. 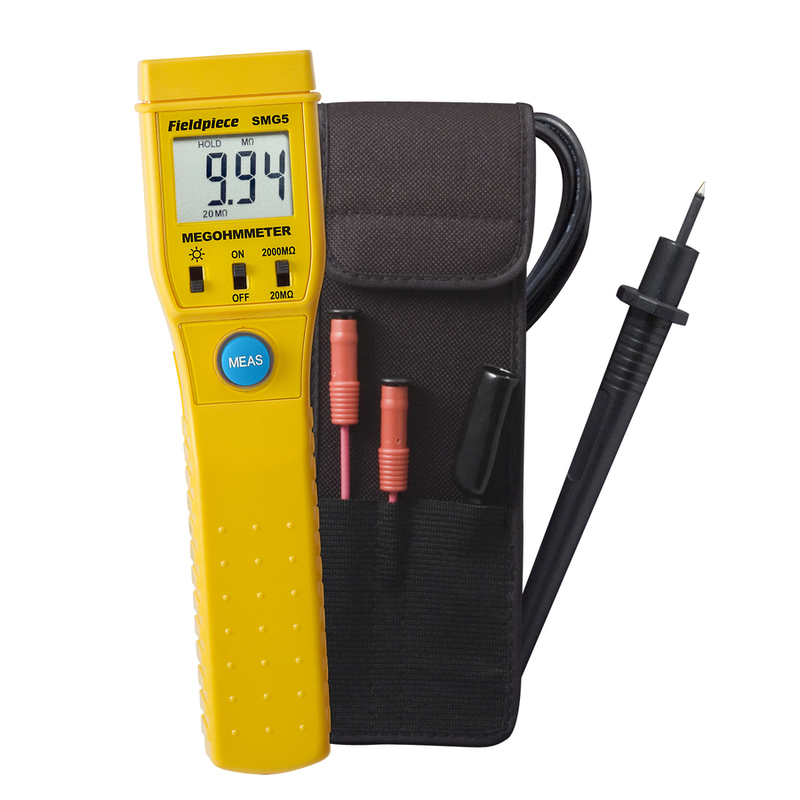 The ergonomic shape fits firmly and naturally in your hand while testing. 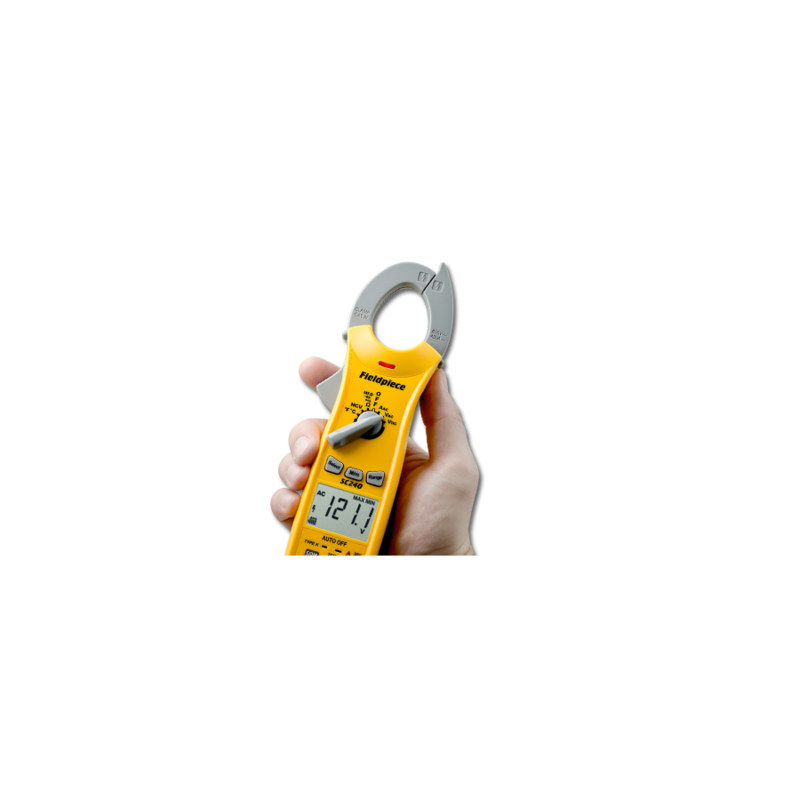 The magnetic hanger, detachable test leads and alligator clip probe tips, allow you to perform tests hands-free. 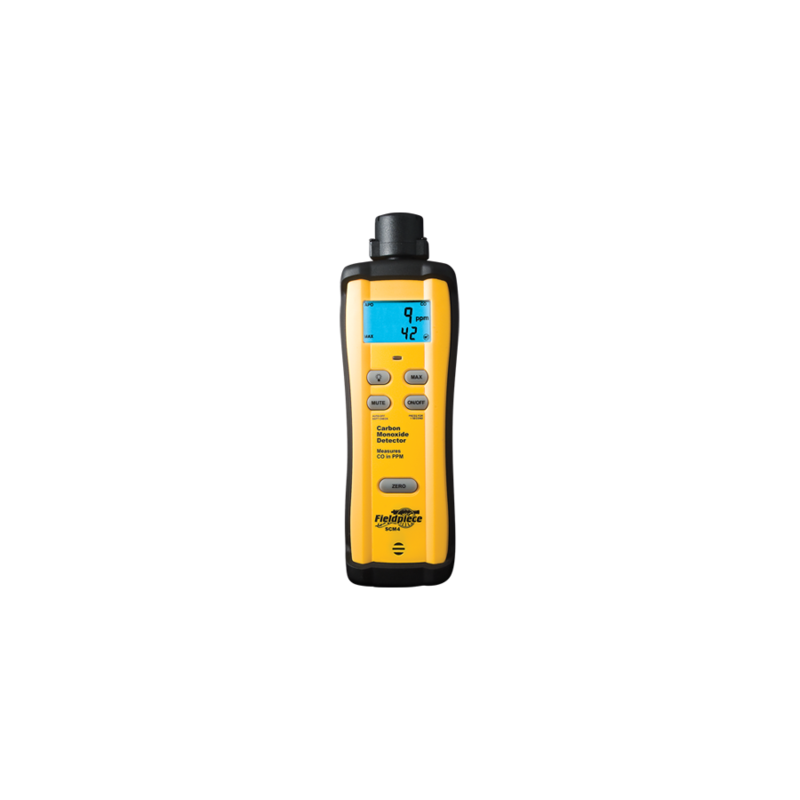 All Fieldpiece accessory heads slide directly on top of the HS33, so you can test a wider variety of parameters than what's in a single meter. 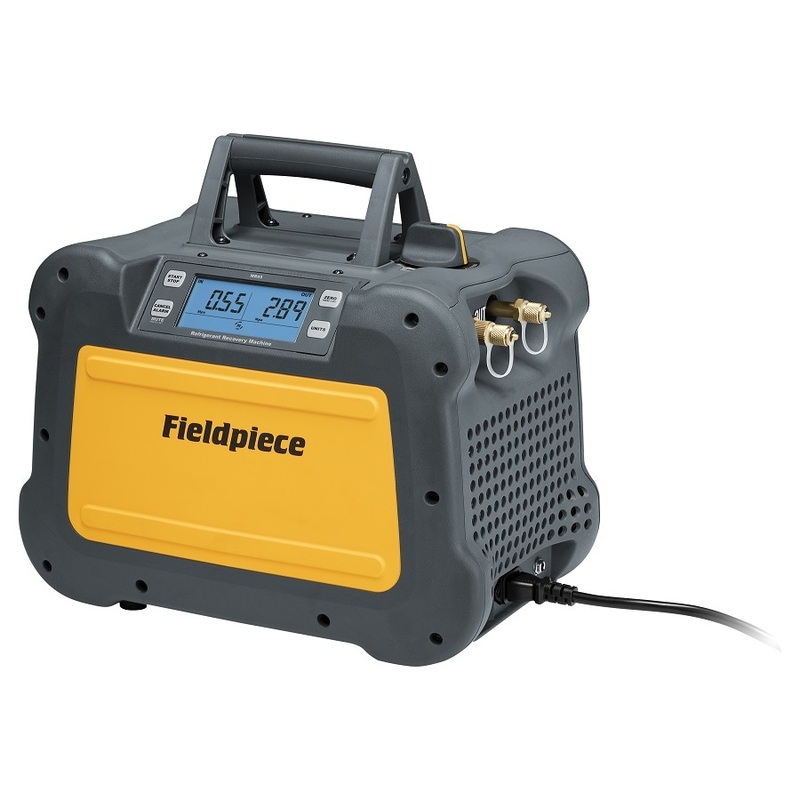 The modular expandability of the HS33 makes it so you don't have to buy additional expensive meters to preform additional measurements like air flow, amps, static pressure, vacuum, and many more. There are approximately 15 additional accessory heads to choose from. Auto power off: 60 minutes. 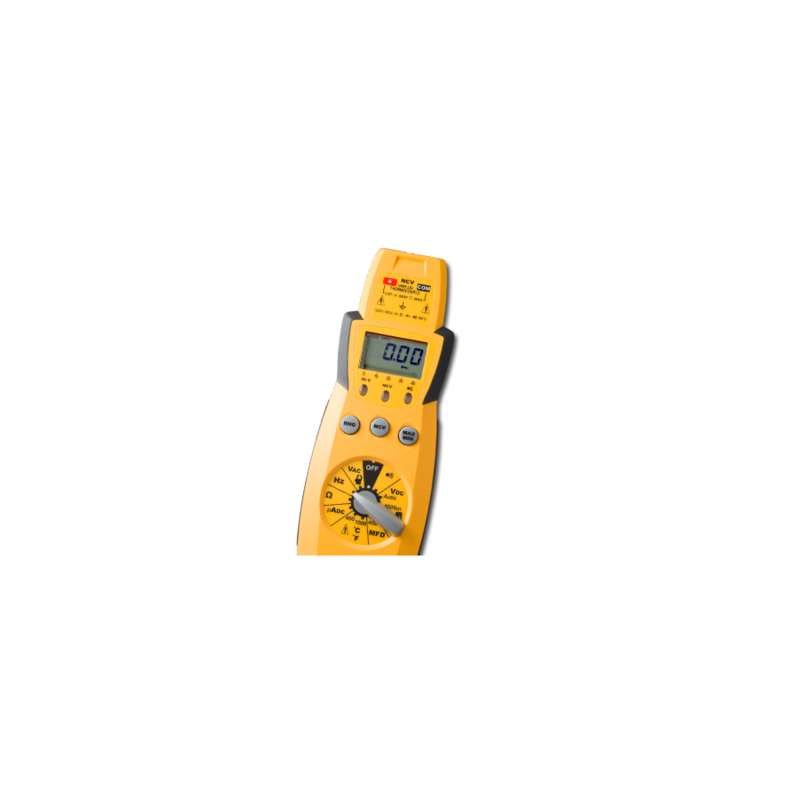 Temperature Coefficient: 0.1×(specified accuracy) per °F/°C. (32 to 64°F (0 to 18°C), 82 to 122°F (28 to 50°C)). Accessories: One pair test leads, one pair alligator clips, k-type thermocouple (HS33), 9V battery (installed), and operating instructions. 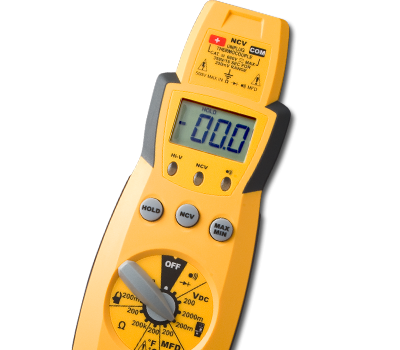 Safety: UL, CE, Cat III 600V, UL3111, IEC/EN61010-1, C-Tick certified. Green LED will be on continuously. ±2% + 3°F, -30 to -4°F (-34 to -20°C).